The post-holiday letdown doesn’t last long when Restaurant Week season rolls around each January. 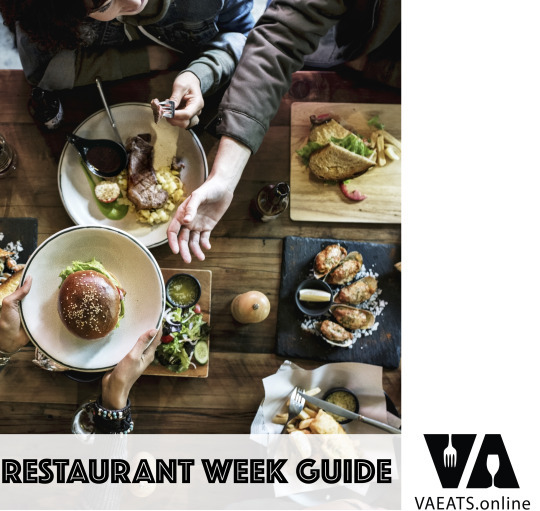 In fact, across Virginia there are many Restaurant Weeks coming up; others will happen later in the year. So what is Restaurant Week? It’s an effort to entice diners to come out during some of the historically slower seasons (not all are held in the winter) for restaurants and break bread. Specially priced lunch and dinner menus offer incentives to try new restaurants and rediscover old favorites. Prix fixe packages usually including an appetizer or soup or salad, entrée and dessert. Below the Jump: Tips + Tricks for making the most of Restaurant Week and a succinct list of upcoming events. Restaurant Week isn’t limited to Virginia; the first one started in New York in 1992 and there are countless ones across the country. But we think we’ve got the best selections, prices and – of course – restaurants, right here in the Commonwealth. Here are the upcoming Restaurants Weeks across the state for winter and spring; click on the city/date for more information. Also, check back with us later for an updated list for events during the summer and fall.